Chicago, September 5, 2017 – Baird Capital, the direct private investment arm of Baird, recently announced that Nicole Walker was promoted to Partner, Melissa Mounce was promoted to Principal, and Kathleen Schultze was promoted to Global Investor Relations Manager. Nicole Walker joined Baird Capital's Venture Capital team in 2013 and focuses on early-to-growth stage healthcare investments. Walker is a current member of the board of directors at Amphora Medical, Elucent Medical, MI Bioresearch, NeoChord, Inc., NeuMoDx Molecular, and Strata Oncology. She is also a board member of the National Venture Capital Association and a Life Science Council member for Springboard Enterprises, an accelerator program dedicated to building high-growth technology-oriented companies led by women. Prior to joining Baird Capital, Walker was a Venture Investor with Abbott focusing on early stage biotech, device and diagnostic opportunities. Walker received a B.S. in Medical Engineering from Stanford University and dual Masters Degrees in Business Administration and Engineering Management from the Kellogg School of Management and the McCormick School of Engineering at Northwestern University. 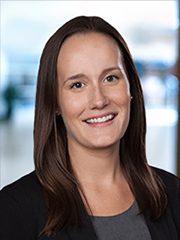 Melissa Mounce joined Baird Capital in 2014 and is a member of the Global Portfolio Operations team at Baird Capital with a functional area of expertise in strategic Human Capital. She works across Baird Capital's global investment portfolio (private equity and venture capital) in the US, UK and Asia. 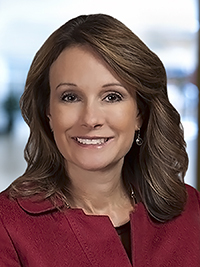 Mounce serves on two Baird Capital portfolio company Board of Directors, and is a member of Baird Capital's Advisory Committee and is the chairperson for the Human Capital Committee. She also serves an active role in the community as a member of the Lyric Opera Guild Board and the Foglia YMCA Board of Directors. Prior to joining Baird Capital, Mounce held global Talent Management leadership roles at Aon, Abbott and PNC. She was also a business process management consultant with E&Y. Mounce received a B.A. in International Business from Illinois State University and an MBA from Northern Illinois University. Kathleen Schultze joined Baird Capital in 2016 and is currently the Manager of Global Investor Relations. She focuses her time on fundraising, marketing and LP communications across Baird Capital's global platform. 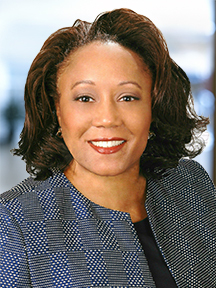 She joined Baird from an executive search firm, where she served as a Senior Associate in the private equity practice. Schultze has executed C-level searches both in the U.S. and internationally, within the private equity, financial services, and non-profit sectors. Schultze holds a Bachelor's Degree in Political Science and French from Marquette University.